Guadalajara, in the Mexican state of Jalisco, is a fascinating city. It's best known as the birthplace of mariachis, tequila, and the national sport of Mexico, charrería, but you'll also find some excellent food in this destination. Since Mexico's food varies so much regionally, you can taste some dishes here that you won't find in other parts of the country. Here are some of the dishes and drinks you shouldn't leave Guadalajara without trying. Tortas ahogadas are the food that's most commonly associated with the town. Literally "drowned sandwiches," these are made by stuffing a crusty roll with meat and covering it with a spicy tomato sauce. The bread is called birote salado, but it's similar to bolillo buns, and it may have bean paste smeared on the bread before the meat (usually pork marinated in spices) is added. Local lore has it that this dish came into being when a hungry man arrived home to find his wife had gone out. He scrounged around and came up with bread, meat, and some beans, and made himself a sandwich. He then found some sauce his wife had made and left on the stove, and he poured it over his sandwich which he then ate with a knife and fork. It was delicious and satisfied his hunger very well and the dish soon became widely popular. Birria is a spicy meat dish most often made with goat or mutton, but occasionally beef or pork may be substituted. It's traditionally prepared by marinating the meat in a sauce made of garlic, chile, and tomato, and then cooking it in an underground pit oven, covered by agave leaves. Now it's most often slow cooked over several hours in a big pot on the stove or in the oven. The meat is eaten either in a stew or as tacos and is served with finely chopped onions and cilantro, and some lime wedges to squeeze on it. You may find birria for sale in market or street food stalls, but it's also a popular dish to serve at parties. Birria is believed to be one of the best things to eat the day after indulging in too much alcohol, so if you're suffering from a hangover, order up some and, hopefully, you'll find some relief. A serving of beans will add a dose of protein and fiber to any meal, but they're especially tasty when they're served up charro-style. These pinto beans are cooked with onion, garlic, and bacon, and served in the meaty, delicious broth. They may contain other ingredients such as tomato, jalapeño, and other kinds of meat like chorizo and sometimes chicharron (pork rind). 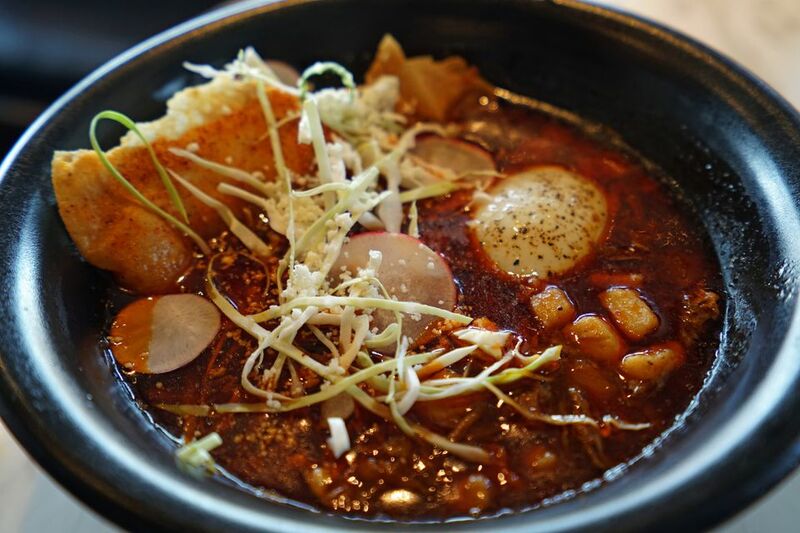 This dish is named for Mexico's cowboys, the charros, because it's said that in the old times, the charros would cook a big pot of it on an open fire when they were out taking care of the animals. Although they're served throughout Mexico, Jalisco claims to be the place of origin of this delicious side dish, which is often served to accompany ​carne asada (grilled meat). Jericalla (sometimes spelled jericaya) is a dessert made with eggs, milk, and sugar, and flavored with cinnamon and vanilla. It's similar to a flan or creme brulée. Its invention is attributed to a nun who was working at the Hospicio Cabañas (World Heritage site in Guadalajara) when it was still in use as an orphanage. She wanted to create a dish that would be appealing to the children and provide them with some extra calcium and protein, so she came up with this delicious treat. While it was baking, she became distracted and left it in the oven a little too long and when she took it out, she discovered the top was slightly burnt, but everyone was delighted with the flavor and it became a popular dessert throughout the city and is always cooked until the top turns brown. Of course, no visit to Guadalajara is complete without trying tequila, and you should sample a few of them to see which you prefer (always make sure the bottle says 100% agave, though, to be sure you're sampling the best). And if you can go to the place where this spirit is made and that bears its name, that's even better. The town of Tequila is very close to Guadalajara and can easily be visited on a day trip so you can learn about the production of this world-famous drink. Although tequila is more famous, another drink that is made in Guadalajara is tejuino. This is a fermented drink made with corn and sweetened with piloncillo, unrefined brown sugar. It was originally made by the Huichol people in ancient times (although without the sugar), but it's still very popular today. You'll find it sold in markets and parks and on the street from carts all around the city. Tejuino has a low alcohol content from the fermentation process, and is usually served on ice and with a squeeze of lime juice and a sprinkling of chili powder, or you can request it with a scoop of nieve de limón (bright green lime sherbet) which perfectly complements the bittersweet flavor of this traditional refreshing beverage.